Witness the magic of the elements in Elements Slots. It's a one of a kind game, with an Avalanche feature, free fall mode, 4 Wild symbols and more. Check it out for yourself today. Good luck! Take on all the elements when you play Elements Slots at the Wicked Jackpots online casino. See Earth, Fire, Water and Air truly come to life! It's a fun interactive game with an Avalanche feature, 4 free fall modes, each with its own Wild, and more. The special Avalanche feature has 4 crystals, and they light up for every Avalanche. If you get 4 in a row, you'll activate your free fall modes. Every Wild triggers a different bonus, and each free fall mode will reward you with 10 free falls, meaning 10 FREE spins. 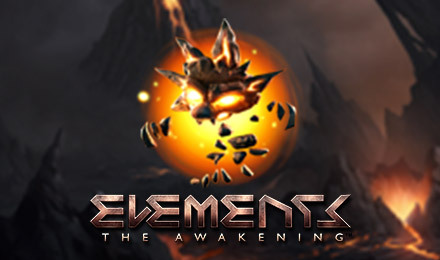 For a unique online experience, play Elements Slots today!